Elias Hernandez was appointed as the U.S. Small Business Administration’s Chief Human Capital Officer on June 27, 2016. Mr. Hernandez is responsible for developing and implementing SBA’s human capital strategy to carry out the Agency’s responsibilities for selecting, developing, and managing a high-caliber workforce ready to support America’s entrepreneurs as they seize opportunities to grow and reach new markets. He is also accountable for the Agency’s overall human capital program, which includes human resources policy, recruitment, employee development, retention, executive resources, strategic workforce planning, performance management, compensation and benefits, leave administration, labor & employee relations, work/life, and HR IT systems. 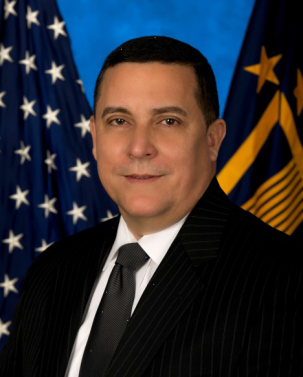 Mr. Hernandez previously served as Chief Officer of the Veterans Health Administration’s (VHA), Workforce Management and Consulting Office. In this role, he provided technical expertise to the Under Secretary for Health and National Leadership Council on Human Capital Management matters and the overall delivery of Human Resources (HR) service to VHA. He also had oversight of over 350 staff with a $155 million budget supporting over 5,000 HR Professionals located throughout the United States, including Hawaii, Alaska and Puerto Rico. Mr. Hernandez led the VHA’s HR program which supported 18 Veterans Integrated Service Networks and 141 Medical Centers consisting of more than 317,000 clinical and administrative support employees and nearly 120,000 health professions trainees. Mr. Hernandez retired from the Army at the rank of E-9—Sergeant Major—after 24 years of distinguished active duty military service. He holds a Master of Science degree in Human Resources Management and Development from National-Louis University.